What does not kill me makes me stronger. How often have we heard this dubious assertion? Well, sometimes it’s true, particularly at the cellular level, where cell subpopulations may possess genetic variants that confer survival advantages during adverse conditions—or after adverse conditions have ceased being so adverse. 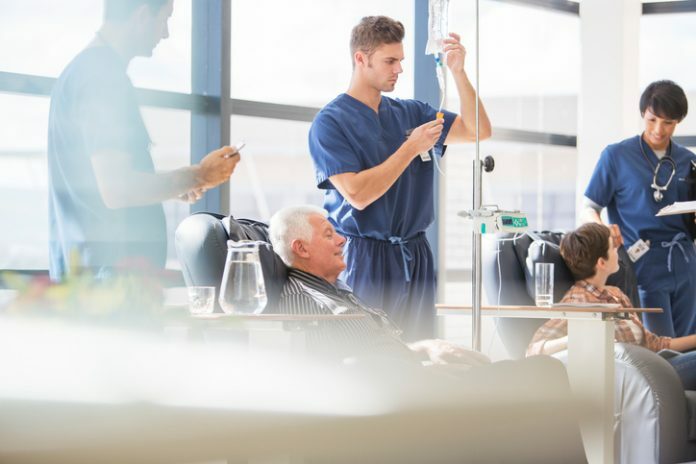 Something like a post-adversity boost has long been observed among hematopoietic stem cells, some of which appear to promote leukemia years after chemotherapy regimens have come and gone. According to scientists based at Baylor College of Medicine, a gene called PPM1D, whose function in blood production was unknown, can confer hematopoietic stem cells exposed to the chemotherapy agent cisplatin a survival advantage that might favor the development of leukemia years later. The study suggests that the presence of this and other mutations should be considered when choosing chemotherapies. Detailed findings appeared November 1 in the journal Cell Stem Cell, in an article titled, “PPM1D Mutations Drive Clonal Hematopoiesis in Response to Cytotoxic Chemotherapy.” The article noted that PPM1D is mutated in about 20% of patients with therapy-related acute myeloid leukemia or myelodysplastic syndrome, and that PPM1D mutations are associated with prior exposure to specific DNA-damaging agents. According to the authors of the article, these observations suggest that mutant PPM1D confers a survival advantage after cisplatin-induced stress. The study team was led by Margaret A. Goodell, Ph.D., director of the Stem Cells and Regenerative Medicine Center and professor of pediatrics at Baylor College of Medicine, and Koichi Takahashi, M.D., assistant professor in the department of leukemia at the University of Texas MD Anderson Cancer Center. To understand what gives PPM1D mutants a competitive advantage, the researchers, led by Drs. Goodell and Takahashi carried out experiments in the lab mixing normal and PPM1D mutant cells together in a dish, growing them together and then exposing them to different environmental conditions. The scientists were surprised to find that under normal conditions, PPM1D mutants and normal cells grew at the same rates. This suggests that the mutants are not intrinsically stronger. However, following exposure to cisplatin and some other chemotherapy drugs, the researchers observed that PPM1D mutants dramatically outcompeted normal cells. “Knowing that the selection of chemotherapeutic drugs can affect the risk of leukemia developing years later may assist physicians in the selection of specific treatments for their patients,” Dr. Goodell added. Looking further ahead, this study also points toward PPM1D as a promising therapeutic target in patients with secondary leukemia.